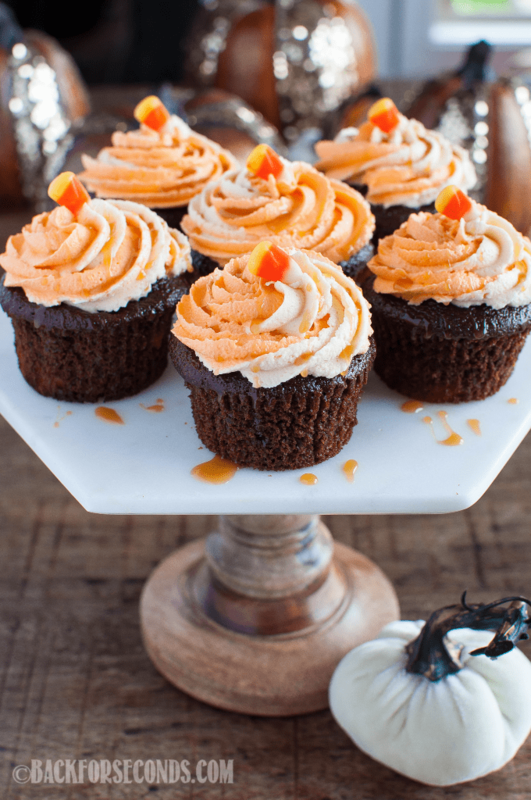 Chocolate Pumpkin Cupcakes with Salted Caramel Buttercream are a delicious new way to enjoy pumpkin desserts this holiday season! Great for Halloween and fall parties! 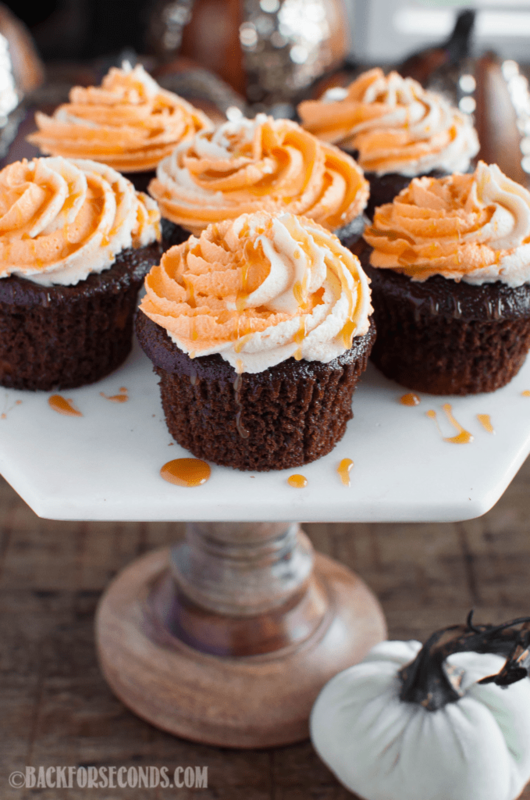 Chocolate, pumpkin, and salted caramel… oh my! This trifecta of flavors is simply spectacular in these fun cupcakes. The salted caramel is really what takes these cupcakes to the next level. I just love the salty and sweet combination! 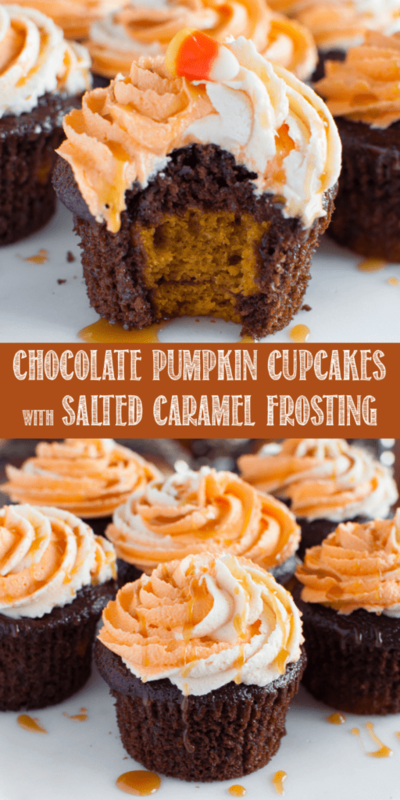 It keeps the frosting from becoming too sweet and balances the warm pumpkin and rich chocolate so beautifully! Admittedly, I am not a fan of candy corn. It looks so cute and festive…but it kind of just tastes like sugary wax to me! This week our twins have a field trip to a pumpkin patch that has lots of fun activities – they are super excited! We are hoping to go out and get pumpkins for everyone in the next few days and do some carving! One of my sons really wants to roast the pumpkin seeds too. Maybe we will experiment with a few different kinds and see what they all think! This week was also our boys birthday! 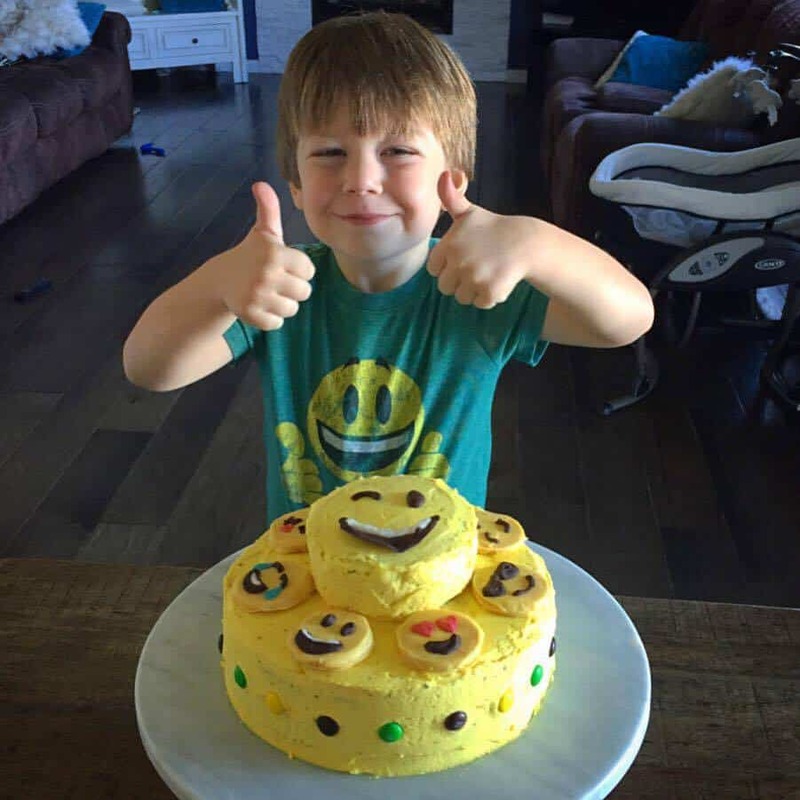 He turned 3 and really wanted an emoji cake. 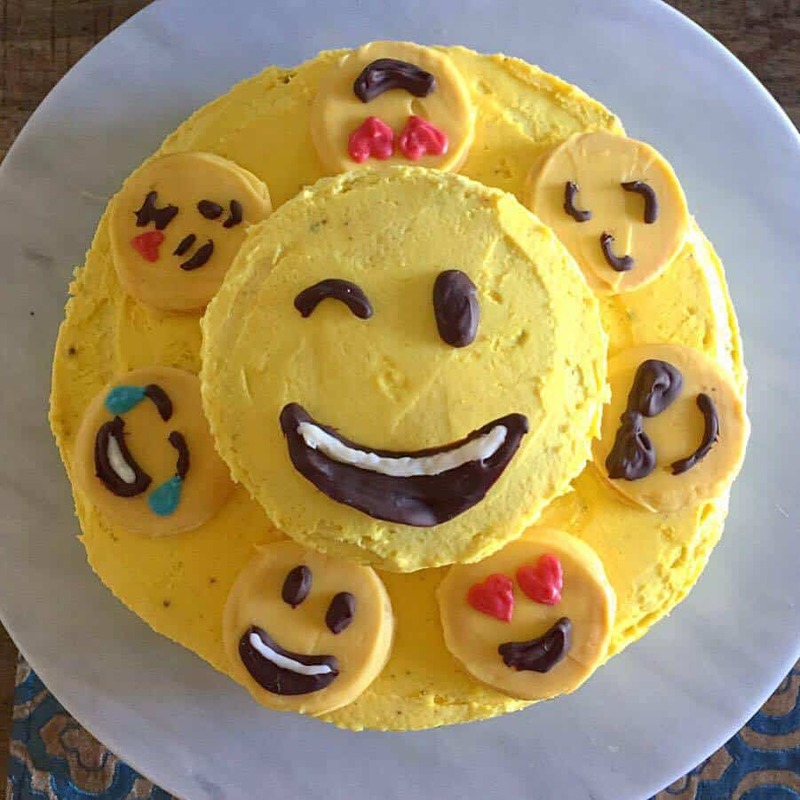 I always let the kids choose what kind of cake they want, and they usually want to help make it, but I never let them see me frost or decorate them. One of my favorite things is the look of surprise on their cute faces when they see their cake for the first time. Just look at him! I’ll be the first to tell you, I am not an expert cake decorator (so don’t look too closely, haha! 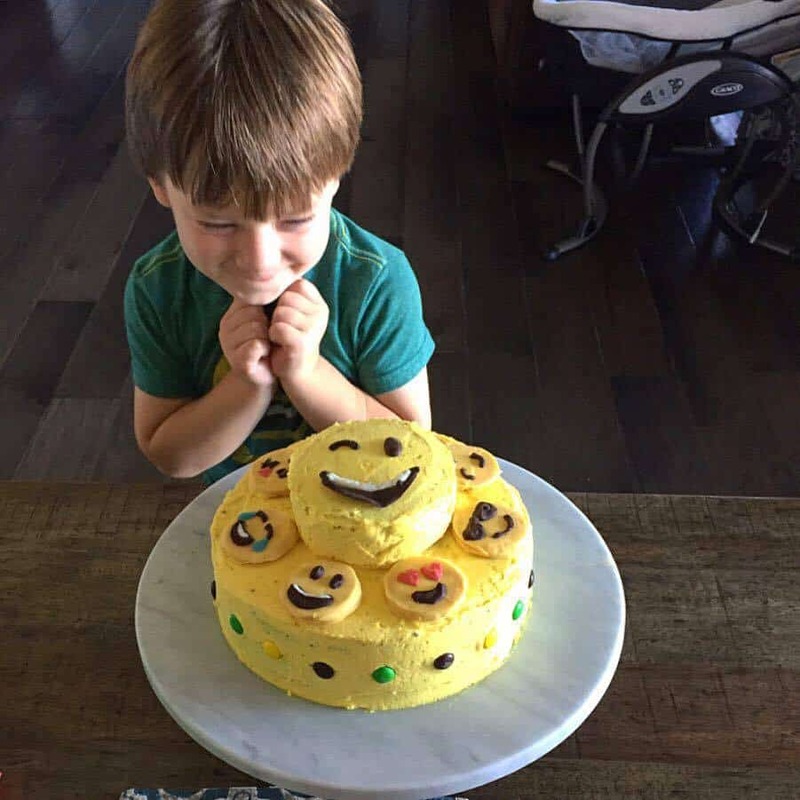 ), but my kids always love their cakes and that’s all I care about. 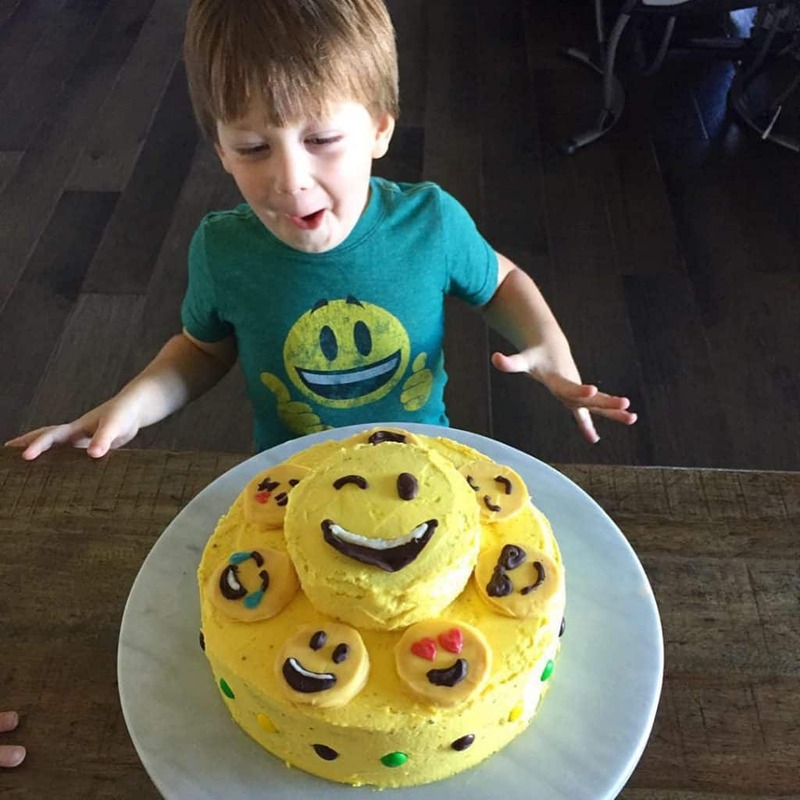 As long as it tastes good and my kids are happy – I’m happy too! 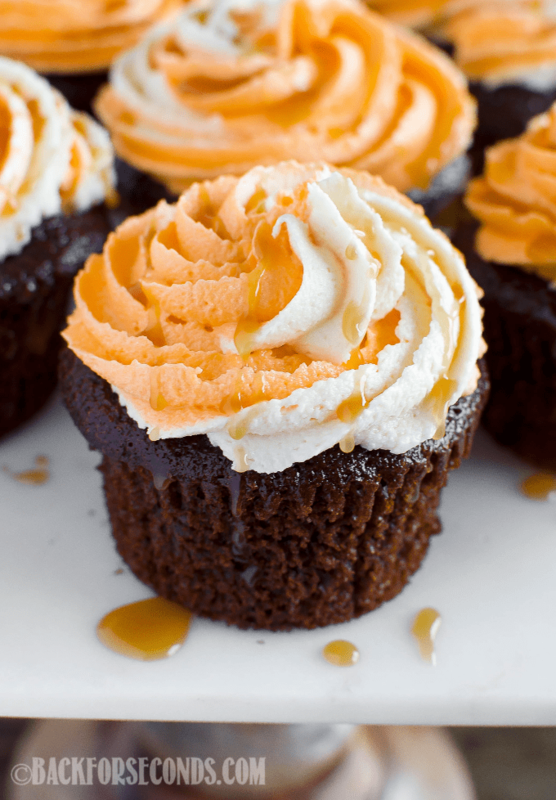 28 Pumpkin Desserts You Can’t Live Without! FOR MORE EASY AND IMPRESSIVE RECIPES, GET MY COOKBOOK, BROWNIES, BLONDIES, AND BARS HERE! Come join my new Facebook group where we can chat, share recipes and tips with each other! In a mixing bowl beat the cocoa, oil, and sugar. Add water, salt, baking powder, and eggs, one at a time, mixing after each addition. Add half of the milk and half of the flour. Mix well. Add remaining milk and flour and mix until well incorporated. Set aside. In a separate bowl whisk together flour, baking soda, baking powder, spices, and salt. Set aside. In a mixing bowl add pumpkin, oil, sugars, eggs, and vanilla. Mix well. Gradually add dry ingredients and mix until well blended. Spray cupcake tins or line with 28 liners. Divide pumpkin batter evenly between the 28 cupcakes, adding a spoonful into each tin, on top of the chocolate layer. Cover the pumpkin layer with remaining chocolate batter, filling them 3/4 full. Bake 15-18 minutes or until tester comes out clean. Cool completely. In a mixing bowl, beat butter, powdered sugar, and caramel until fluffy and smooth. Gradually add milk until desired consistency is reached. Divide batter in two and add a few drops of orange food coloring to one half. Fill one side of a piping bag with the orange frosting, and fill the other side with the white. Pipe swirls of frosting onto each cooled cupcake. Top with drizzle of salted caramel and candy corn, if desired. 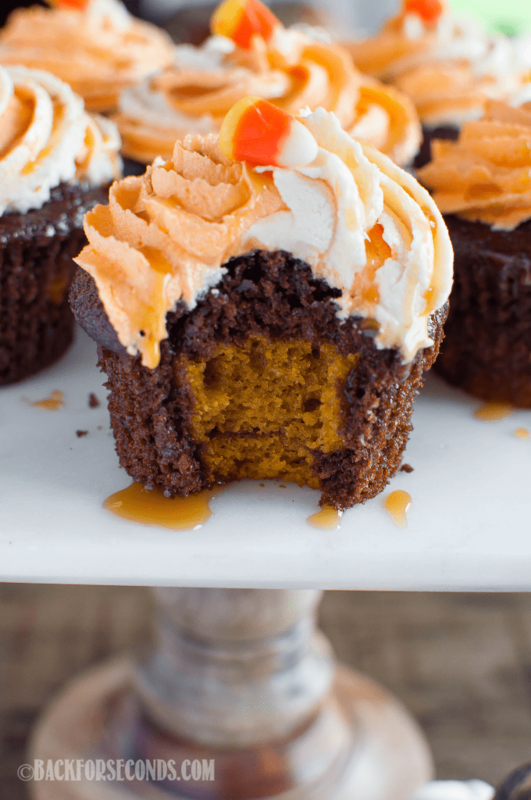 Hi….I want to make this CHOCOLATE PUMPKIN CUPCAKES WITH SALTED CARAMEL BUTTERCREAM but I was wondering if I can make it in a 9×13 pan, if so, how long would I bake it? Hi Patricia! Yes, you can make this in a 13×9″ pan. Bake time will be around 30-35 minutes. Enjoy! Thank you very much for replying so quickly.